 IT-Pirate - Ahoy Sailor! Welcome Aboard! I just arrived home from my trip to Prague Czech Republic. It was an amazing conference with a big firework at the end :). 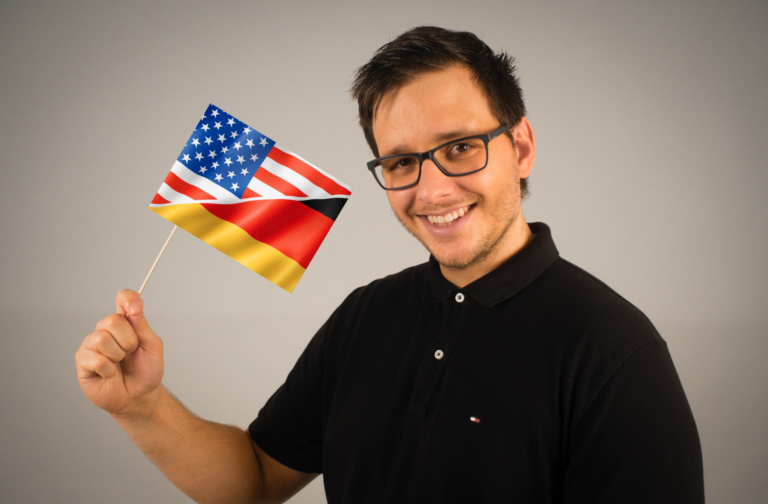 The conference counted over 400 attendees from 29 countries. In six different session tracks you could listen to 42 experts presenting a wide range of topics in the Microsoft universe. Besides the VIP party in Cloud 9 Sky Bar & Lounge my absolute highlight was the Intro Video below. 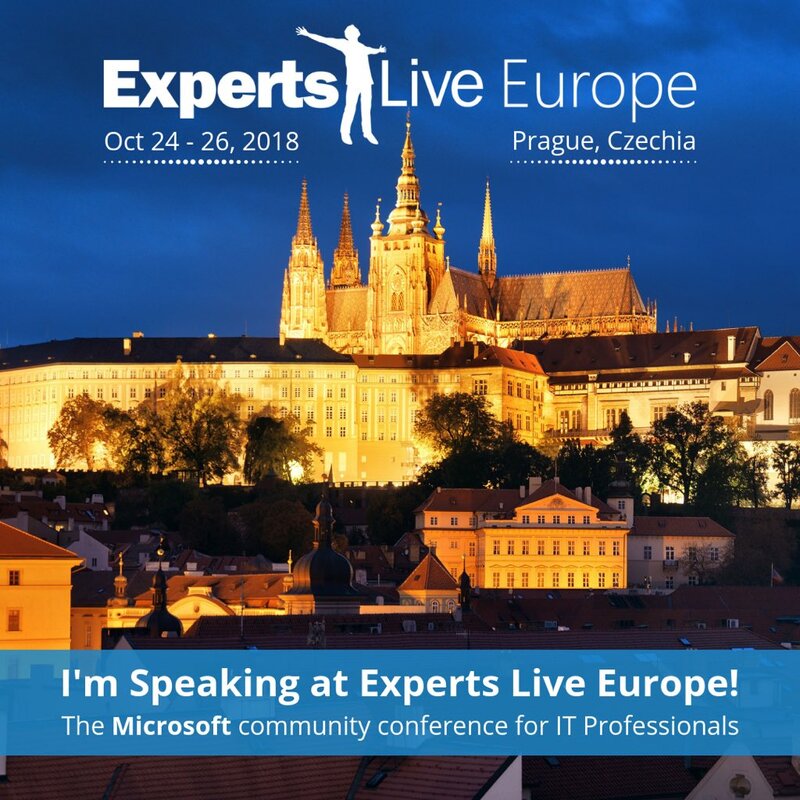 after Microsoft Ignite and IT:SA I’m looking forward to Experts Live Europe. I’m part of the community for more than 4 years now. Back in the days the conference was called System Center Universe Europe. I attended twice and I really liked the warm and welcoming atmosphere and the good quality and selection of the speakers. Honestly I’m super proud to be back as a speaker. Last year I had three sessions – check out the according blog post if you are interested. in the previous post we’ve focused on the authentication technique of Kerberos, we went through the 3 way handshake and had a look at the encryption types. With that in mind we will have a look at golden ticket attacks. many enterprise IT departments these days are afraid of golden ticket or pass the ticket attacks -which is good because privilege escalation and privileged account exploitation are at the center of cyber attacks as we see them. Attackers crash through the network perimeter, hijack credentials and use them to move laterally throughout the network, taking additional credentials and escalating privileges along the way to accomplish their goals. 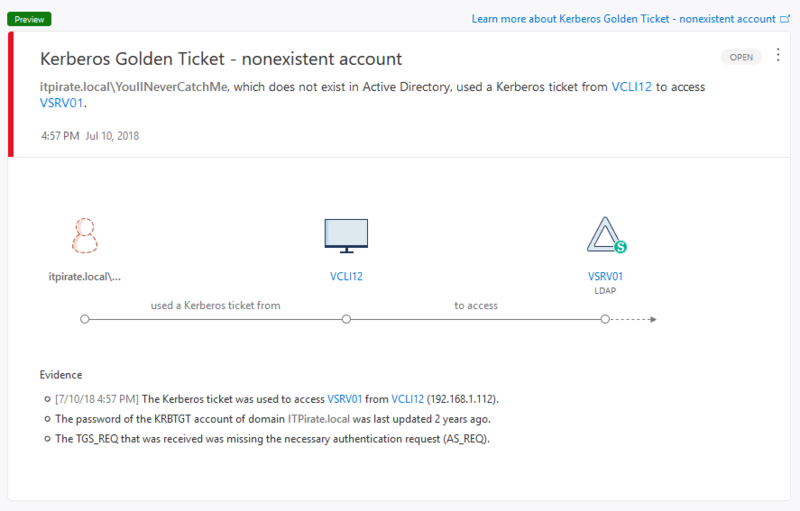 In this blog series we will have a look at kerberos golden ticket and silver ticket attacks. I’ll try my best to explain how it works and how Azure ATP / Advanced Threat Analytics can help to detect. 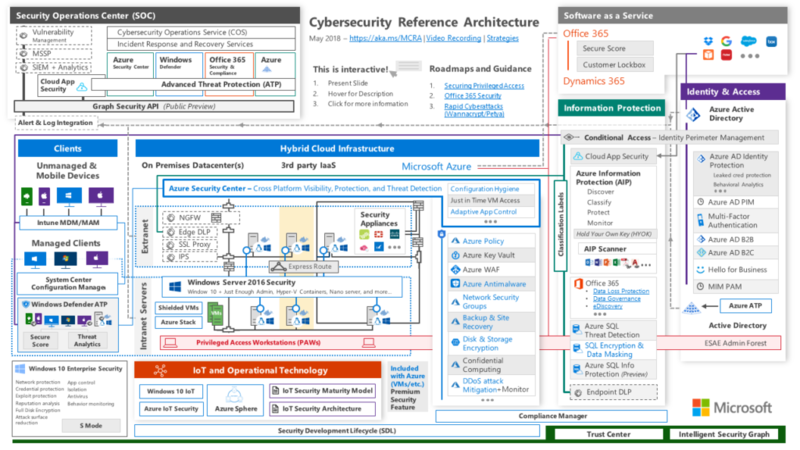 in June 2018, Mark Simos who works as Lead Architect, Enterprise Cybersecurity Group at Microsoft published the updated “Cybersecurity Reference Architecture”. I find this a very valuable collection of architectural information as it often gives a good impression of the big picture approach. As there is a webcast coming up, where Mark is going to explain the design and how you as a architect or systems engineer can use this reference architecture, I decided to wrap that information up in a blogpost. the third attack simulation method is a password spray attack. In a password-spray attack, a hacker tests a single password against multiple user accounts at an organization. The method often involves weak passwords, such as Winter2018 or Password123!, and can be an effective hacking technique against organizations that are using single sign-on (SSO) and federated authentication protocols, but that haven’t deployed multi factor authentication. A Brute Force Attack is the simplest method to gain access to a site or server. It is an automated, trial-and-error method of generating multiple password guesses from a dictionary file against a user’s password. Automated software is used to generate a large number of consecutive guesses as to the value of the desired data. An attack of this nature can be time- and resource-consuming. Hence the name “brute force attack;” success is usually based on computing power and the number of combinations tried rather than an ingenious algorithm. 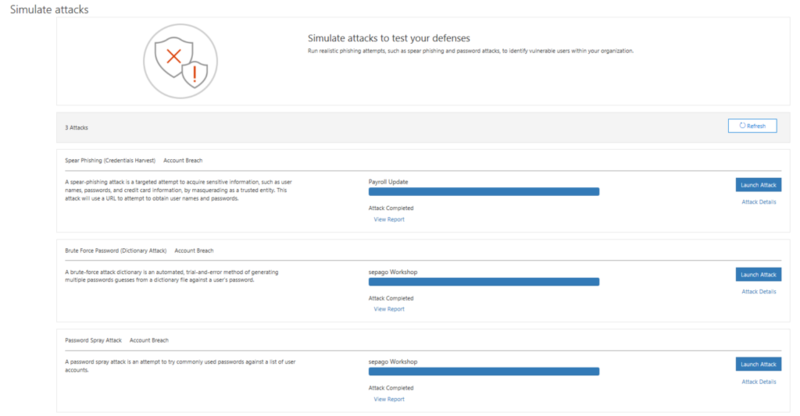 in the first part we had a look into attack simulator and the included scenarios. We discussed which scenario does what in detail and what you need to set up as a preparation. 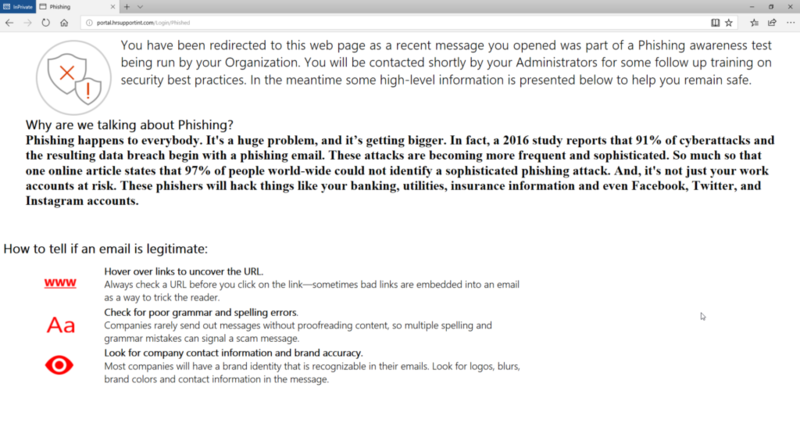 In this blog post we will check out the spear phishing attack that is meant to harvest credentials. Spear phishing is a very common e-mail spoofing attack scenario that targets a specific individual or organization with the goal to get access to sensitive information. Furthermore I have seen this attack method with the intend to install malware on a targeted user’s computer.